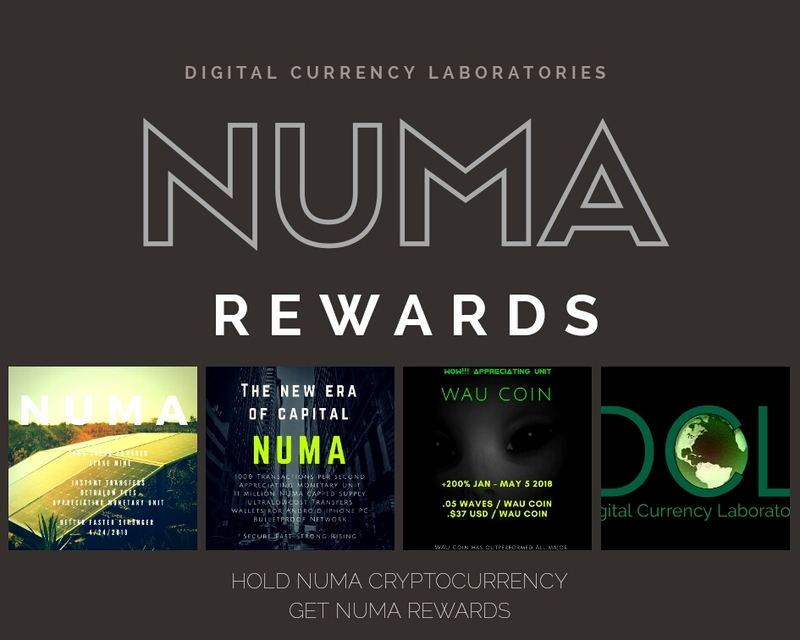 As part of Digital Currency Laboratories mission to maximize benefits for holders of NUMA appreciating monetary unit cryptocurrency, DCL will be announcing the start of NUMA Rewards program on May 15. We will be announcing the first $NUMA rewards tomorrow at 2:00 PM. Holders of 100 or more NUMA will receive free WAU Coin, and other appreciating monetary units.